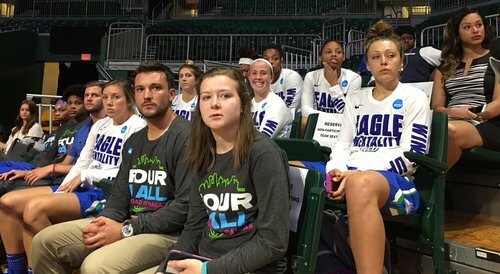 The NCAA tournament selection committee gave the Florida Gulf Coast University women's basketball team a No. 13 seed and gave them a game just down the road. 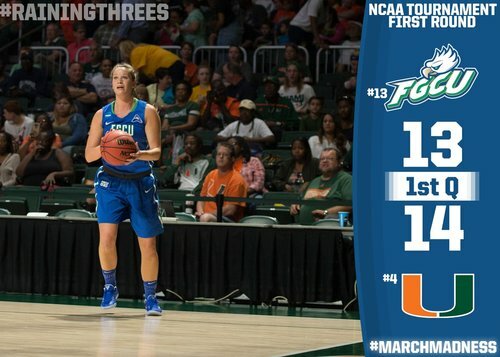 FGCU (26-8) plays at No. 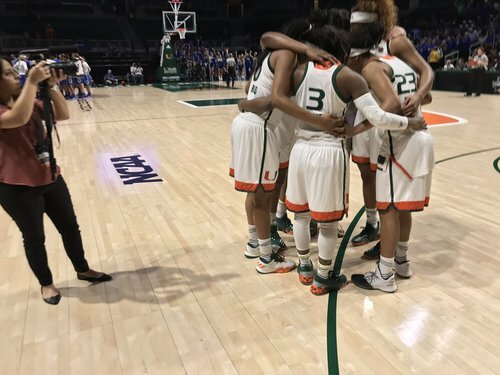 4 seed Miami (23-8) at 4 p.m. Saturday, broadcast live on ESPN2. Naples Daily NewsCORAL GABLES – There were smiles and confidence and a good final day of preparation. 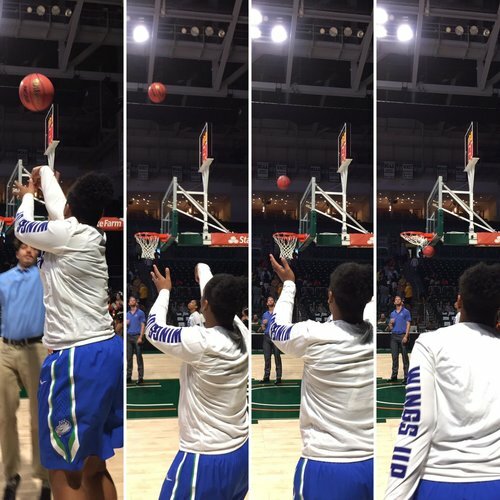 Nice look at game-tying 3-point attempt at buzzer bangs halfway down and out. Reminder: The game is being broadcast on ESPN2. It's channel 59 for Comcast users in Collier. 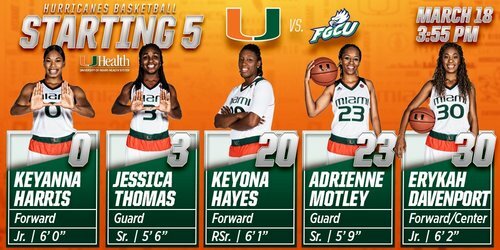 Erykah, making the 50th start of her career, with a bucket to put Miami up 6-4. First media timeout of the game. 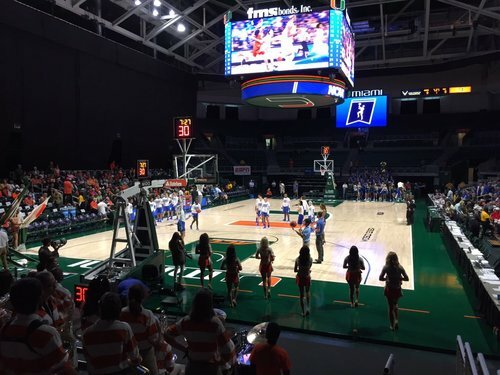 11-8 #FGCU 4:15 1Q. Getting a lot of what they want on offense so far. 5-12 FGs (couple wide open misses). 1-4 on 3s. Bailey with the baseline J. Canes within one. Hof with a bucket! 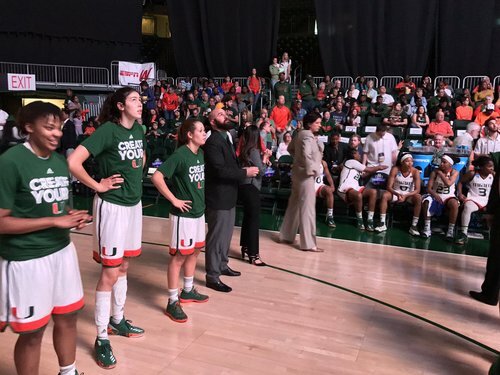 Miami leads, 12-11. 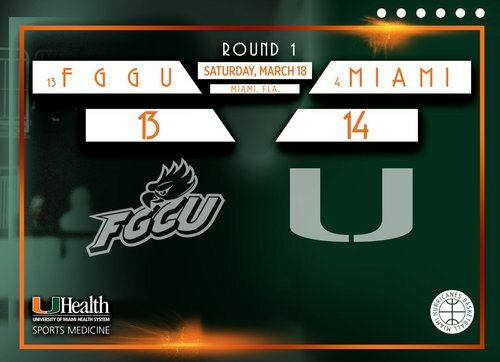 END Q1: FGCU 13, Miami 14. FGCU 6-20 shooting, 1-9 on 3s. Gotta be better. But how 'bout 5-11 @h_laughter swatting UM 6-3 Dutch center? 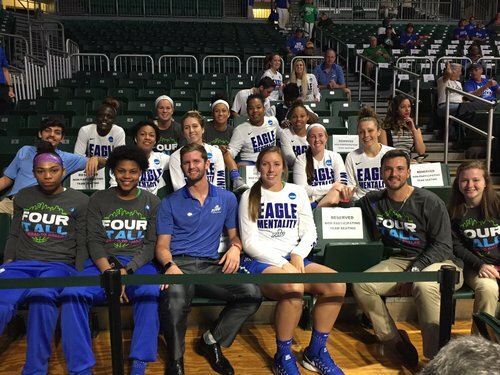 Reppin: @Michael_Fly & @SchwabTyler from @FGCU_MBB coach staff in stands for @FGCU_WBB .
.@FGCU_WBB trail just 14-13 after one. @h_laughter clearly learned lessons from @_WhoYaWhit . Check out this block! Steal and a bucket for LC!